For those of you non-Dutch readers trying to learn the Dutch language, God bless and good luck. As you have probably noted from personal experience, conquering Nederlands is one heck of a challenge. Our advice to you: focus not so much on the logic –or lack thereof- of the grammar and words, but just memorize the language, then practice practice, practice and simply try to have fun with it! What is already known to many people has now also been confirmed by scientific research: the Dutch language is a very difficult language to learn. Although many languages that developed over the course of humanity’s history are cumbersome and peculiar, not many are as top-heavy as the one spoken in the Low Countries. Where the Latin languages such as Spanish, French and Italian have many linguistic rules and some exceptions, in Dutch the exceptions seem to be the rule. The language is rife with adverbs that in and of themselves have no particular meaning, or any reason to exist at all really, but still do. Plural forms of nouns make no sense whatsoever and are likely to drive foreign learners mad. And where the English language only has one direct article (‘the’) that comes before a noun, the Dutch use ‘de’ (pronounced as dùh) and ‘het’ (hut) with no logical explanation for why one or the other. The main reason for Dutch being an unnecessarily difficult language has to do with the past. In her 2015 dissertation, Dutch linguist Sterre Leufkens concludes that as a small nation the Dutch (and Dutch-speaking Belgians) have maintained their linguistic quirks because not many outsiders historically learned Dutch as a second language. On the contrary, when many nonnative speakers started to learn English, French and Spanish from 1500 onward, this had the effect of grammatically simplifying those languages. A similar example can be found in the Dutch former colony of South Africa, where ‘de’ and ‘het’ were quickly replaced by ‘die’ (pronounced as ‘dee’). In the Netherlands however, linguistic junk was able to accumulate throughout the ages, without any foreign filters tidying up the language. For those of you feeling some disheartened reading all of this, at least you can tell the folks back home that you are learning a unique tongue that has remained largely pure and untouched throughout time. In her research, Leufkens compared twenty-two non-European languages with Dutch, such as Samoan, Bininj Gun-Wok, Tidore, Sandawe and Egyptian-Arabic. She was looking for the occurrence of ‘unnecessary grammatical elements’, and as it turns out, the Dutch language has got heaps of them. The most famous, or infamous, is the word ‘er’, pronounced as ‘air’. In English it can be best understood as the word ‘there’, as for example: there is a cat walking on the street. The Dutch don’t have a simple way of saying ‘a cat walks on the street’, but insist on the use of the completely useless ‘er’ (Dutch: er loopt een kat op straat). The same goes for agreeing (ermee eens zijn), to matter (ertoe doen) as well as tons of other random examples that include ‘er’, although it is not used in just as many, seemingly identical sayings and expressions. It is what it is. Just memorize the ‘er’. Another difficulty of Dutch is how plural forms are created. Where the English language simply adds an ‘s’ when creating plurality, the Dutch may randomly change the word. School becomes scholen, kaas (cheese) becomes kazen, but auto (car) simply receives an ‘s’ at the end: auto’s. To compound the difficulties, the Dutch also create plurals in all verbs, such as hij loopt (he walks) but wij lopen (we walk). Some nouns have multiple plural forms, such as ziekte (illness), which makes both ziektes and ziekten. Another language feature that Dutch teachers simply cannot explain is the random way of adding two nouns to create a new word, which must have an ‘n’, an ‘s’ or nothing in between. Or something. It all depends. So there we have bedrijfsuitjes (company trips), kurkentrekkers (corkscrews) and deurknoppen (doorknobs). Historical junk at its finest, one could say. The Dutch also don’t have a logical sense of time in the language. The Dutch can speak about the future in the present time: ‘I pass by your house tomorrow’, or even the past: ‘weren’t you coming by tomorrow?’ Actually this is the same in English, but in most other languages it’s a big no no. The Dutch also have strange ways to connect their sentences. The conjunctions want and omdat, both of them meaning ‘because’, decide how the sentence is formed, instead of the noun or verb. ‘…because my bike is broken’ translates as both ‘want mijn fiets is kapot’ and ‘omdat mijn fiets kapot is’. In the first sentence the verb ‘is’ comes before the adjective kapot (broken) and in the second it comes after. And that is just the way it is. When it comes to putting things on, in, behind, after, amongst and beyond other things, there seem to be few rules in The Netherlands. If there is a spot, glass or book on the table, in Dutch the spot is sitting, the glass is standing and the book is lying on the table, without much reason why the difference. And as in most languages, the Dutch have tons of sayings and proverbs that make no sense whatsoever unless they are understood from a historical perspective. We also have the hilarious tendency to literally translate these quirky sayings to English, leaving foreigners bewildered about their meaning. Some examples include: ‘sand over it’ (water under the bridge), ‘with two fingers in my nose’ (easily done), ‘I’m in the war’ (I’m confused) and ‘it is me what’ (you don’t say). One of the first things that foreigners notice when hearing people speak Dutch, is the quite aggressive-sounding ‘g’, that seems to be part and parcel of the language. Now, this is not entirely fair, because aside from this strong ‘g’, which sounds as if you’re gathering spit in the back of your throat, there is also the soft ‘g’ which is a smoother way of letting the air pass around the tongue. In fact, Dutch people living in the southern provinces Brabant and Limburg seem unable to make the hard ‘g’ like those from Amsterdam and Rotterdam, and so are perceived as friendlier than their countrymen to the north. Written also as ‘ch’ sometimes, like school (meaning school), it is a novel sound for most non-natives to learn, practice and ultimately apply. Speaking of weird sounds, the Dutch use quite a few vowels that seem alien to most people on this planet. To summarize as efficiently as possible: we use the ‘a’ like ah in wall but also like a long waaauw. Same with the ‘e’, the short one sounds like the English ‘a’ as in lack and back, whereas the long ‘e’ sounds like the English ‘a’ in lake or bake. The Dutch use the ‘i’ the same as their neighbors across the pond: vis means fish and sounds pretty much the same. However, vies (meaning dirty) is pronounced as a long ‘e’, like in the word deep. The ‘o’ has similarities and differences too: the short ‘o’ of wok is the same in both languages (though it is originally a Cantonese word). The long ‘o’ sounds like oh, as in oh yeah. The Dutch short ‘u’ again is the same as in English, like rug or bug, but the long ‘uu’ simply does not translate to non-Dutch languages (the exception is the Turkish ü). The best that many can come up with is some kind of ‘ooh’, like wood or hood. But it’s ‘uu’, not ‘ooh’. Just ask at the supermarket for some zuurkool (sauerkraut) and you will hear the difference. Now if those regularly deviant sounds weren’t complex enough, there are also the merged vowels, like ‘ij’ en ‘ei’ (loosely pronounced as while or dial), ‘au’ and ‘ou’ (sounding like, well, sound), ‘oe’ which sounds like book, and finally de ‘eu’ (ö in Scandinavia and Turkey) and ‘ui’. Those last two are total jawbreakers, but once conquered, are a delight to pronounce. Every Dutch person knows how to properly pronounce the name of this beautiful beachside town in The Hague, and almost no foreigner does. It is the word that the German occupiers made people say during the Second World War in order to catch foreign agents who had infiltrated the country. Or so the story goes. Whether it’s true or not, it is a fact that only the Dutch are using these tongue twistingly hard ‘s’s’ and ‘g’s’ that are so hard for outsiders to master. The melodic aspects of the Dutch language, consisting of word and sentence accents, rhythm and intonation are what get foreigners into trouble the most. On the one hand these particular sounds are often typically Dutch, but it is also the mother tongue of the non-Dutch that makes it hard to pronounce them properly. For example: the Dutch use the Germanic emphasis at the beginning of the word, whereas the Latin languages usually pronounce more strongly the last part of their words. In tone languages such as Chinese, the meaning of words is not found in lexicon or grammar, but rather in pitch of tone, which makes the Dutch nuances difficult to make out. As Dutch is an almost exact mix of German and English, the Germans and English amongst you might find it easier to learn it, but Asian people in particular are having a hard time. This can lead to problems of a cultural kind. When asking a question, as in most western languages, the intonation in Dutch goes up at the end of the sentence. But in Southeast Asian languages the same happens in the regular communicative sense, which has the effect of making them sound insecure. The Dutch also tend to hack away at their own words, like kweenie (‘ik weet het niet’, I don’t know) and keptsodruk (‘ik heb het zo druk’, I’m so busy). This is quite rare in Asian languages where people pronounce every word or even syllable separately, making them sound aggressive. 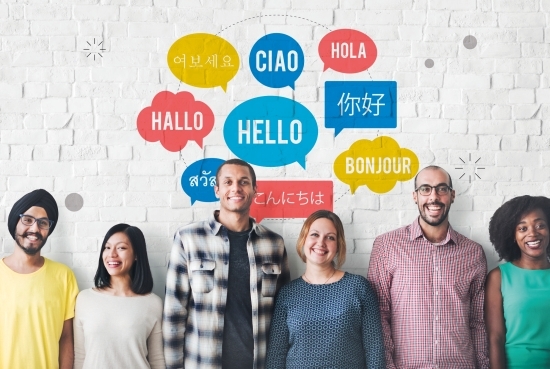 It is a well-known fact that adults have a harder time learning a new language than children. The melodic aspects of a language we were learning as infants we recognize way before our brain starts memorizing the meaning of words. For someone living in a foreign country, usually after some time the sounds will start to become more familiar before the logic of the language is sinking in. In dreaming too, there may appear the particular sounds of the host country, seemingly without making sense in a rational way. It’s a sign of learning. For those learning Dutch, you should probably make yourself familiar with the sounds first. One great way of doing this is listening, and singing along loudly, to Dutch music. Get yourself some André Hazes, Marco Borsato or Jan Smit and wail away. Particularly difficult to learn are the quintessentially Dutch combinations of consonants. Examples are ‘sch’ as in school, ‘rfst’ in herfst (autumn), ‘fst’ in liefste (loveliest) which are all very common in daily language. The Dutch also like to put a ‘t’ or ‘d’ or ‘dt’ at the end of their verbs, such as hij maakt, hij fietst, hij bidt (he makes, bikes, prays). And in a different challenge, for those readers that are used to the silent ‘h’; bonjour, buenas dias & buongiorno to all of you, but you have to know that the ‘h’ is most definitely pronounced in the Dutch language. You can practice it by doing a hard and short breathing out and putting it front of a word like hallo (hello). H-allo. Hallo. Since in pretty much all languages the pronunciation has to do with how the mouth, tongue and throat are placed, for adults these are skills that all need to be learned with conscious intention, instead of by intuition like children do. Ask a Dutch person to pronounce the words kaal, kiel, koel, kul, keil, kool and look closely at how the jaw is moving. There is only one way to learn these pronunciations, and that is to memorize them and practice them over and over and over again. For Dutch people it is very important that foreigners learn Dutch, partly because Hollanders themselves are famous for learning many different languages, partly because it is a sign of respect, and partly as a result of nationalistic-political developments over the years. For non-EU, non-Turkish foreign citizens wishing to live and work in The Netherlands, success in the so-called inburgeringstraject (integration trajectory) is required. It consists of a social-cultural program and a language test made up of reading, listening, speaking and writing. 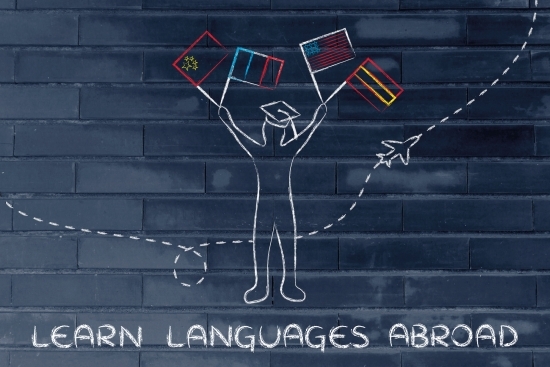 Only about forty percent of all participants pass the language exam, which has to be taken within three years after arriving in the country. And so a good preparation to learn Dutch is essential. Make friends with locals and insist on speaking Dutch with them, even when they are tempted to switch back to English, as they often do. Watch the Lowlands classics of cinema with English subtitles, just as the Nederlanders learned English from watching Hollywood with Dutch subtitling. You will notice how much more pleasant life in the Netherlands will be when you speak the national language. And just like most new skills, conquering Dutch is not an easy one, but it is definitely worth the effort.